Speculations regarding Karisma Kapoor’s second marriage with beau Sandeep Toshniwal have been doing rounds since a very long time. Looks like finally the two are ready to take their relationship on a new level after Sandeep recently got divorced from his orthodontist wife Ashrita. 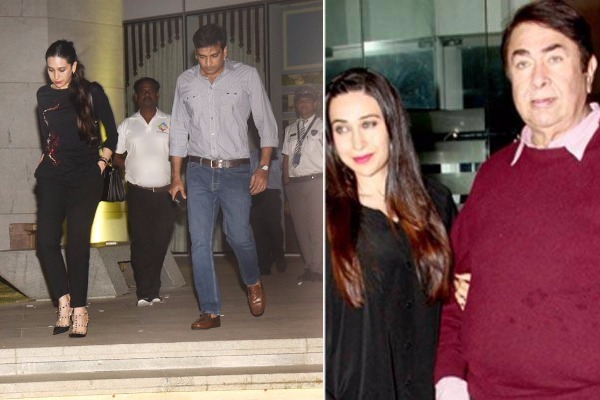 Recently, Karisma’s father Randhir Kapoor was asked about his daughter’s marriage plans with Sandeep. Karisma and Sandeep Toshniwal have been making public appearances together and have often spotted at several Bollywood gatherings as well. Well, it’s time for them to make the much-evident relationship official. Karisma had married businessman Sunjay Kapur in 2003 and finally, after all the drama, the two got separated in 2016. Later, Sunjay got married to Priya Sachdev earlier this year. Previous : Photos: Shahid Kapoor-Mira Rajput’s Adorable Daughter Misha Is Painting The Town Red! Next : Soha Ali Khan, Kunal Kemmu Reveals First Picture Of Daughter Inaaya Naumi Kemmu On Children’s Day!